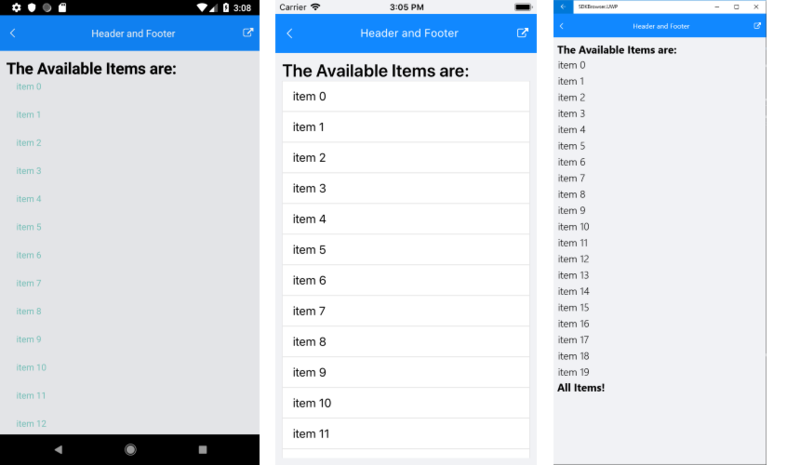 With R1 2019 release of Telerik UI for Xamarin RadListView exposes two new templates - Header and Footer, which will allow you to add content of your choice above and below the list with the items. 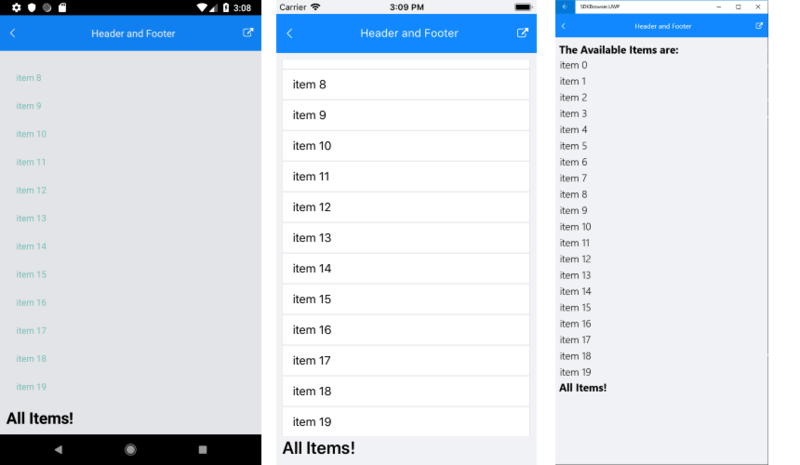 Both header and footer templates are scrolled along with the ListView items. HeaderTemplate(DataTemplate): Defines the Header of the ListView before all items. FooterTemplate(DataTemplate): Defines the Footer of the ListView after all items. Here is an example how to add Header and Footer to the RadListView control. <Label Text="The Available Items are: "
A sample Header and Footer example can be found in our SDK Samples Browser application and QSF App.